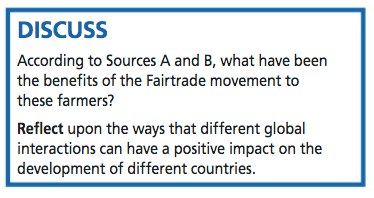 What factors contribute to the fairness and development of societies? 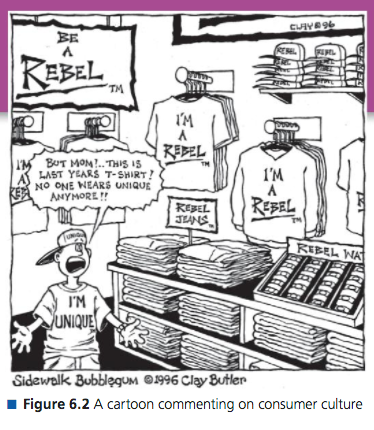 Look at the cartoon (Figure 6.2). What do think is the message of the cartoon? What do think is the message of the film 'consumerism'? 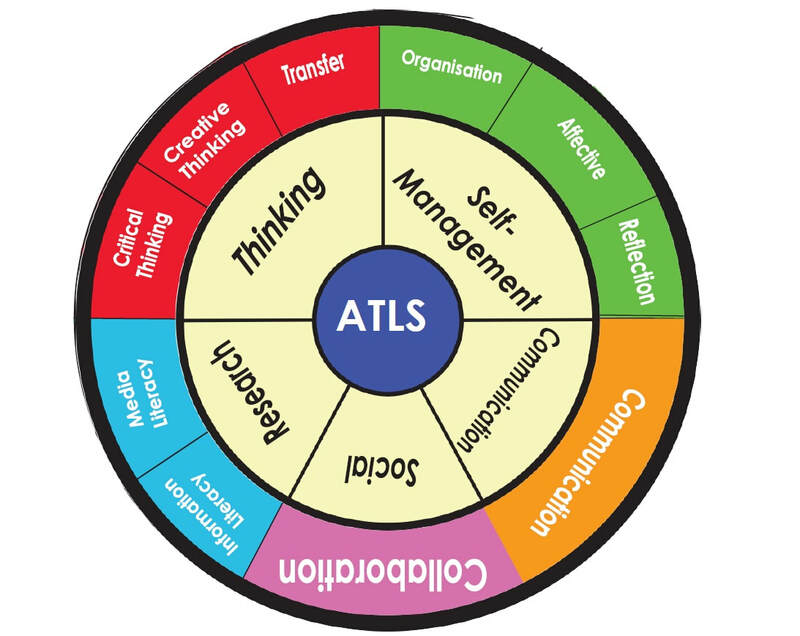 Watch the film about Maslow's hierarchy of needs. 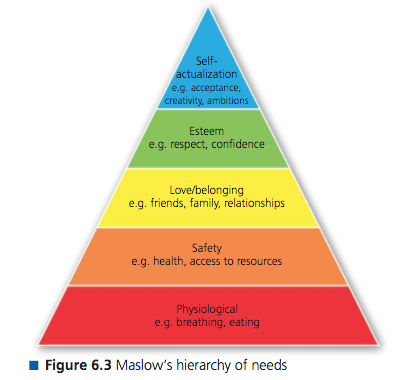 Using the pyramid in Figure 6.3 as a basis, design your own diagram of Maslow's hierarchy of needs with illustrations of the examples at each level. Absolute poverty – is a condition where household income is below a necessary level to maintain basic living standards (food, shelter, housing). This condition makes it possible to compare between different countries and also over time. 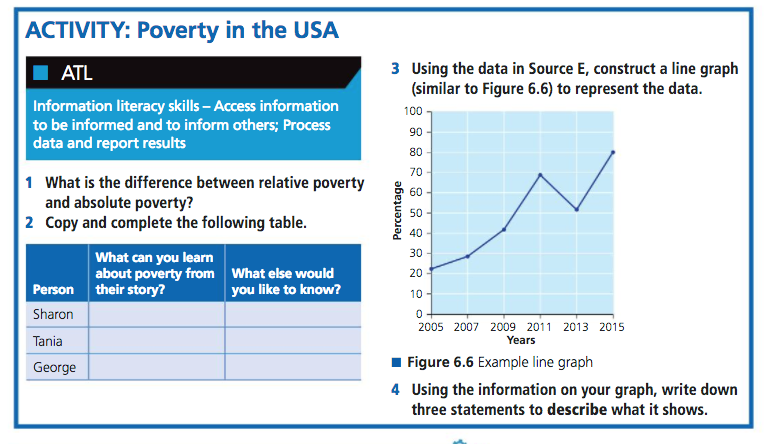 Absolute poverty tends to happen in poor countries. 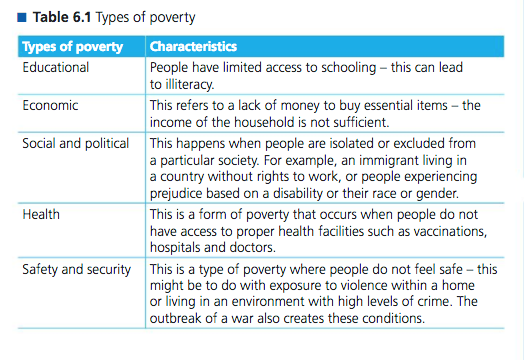 Relative poverty – A condition where poverty is measured in comparison to others in a particular society. 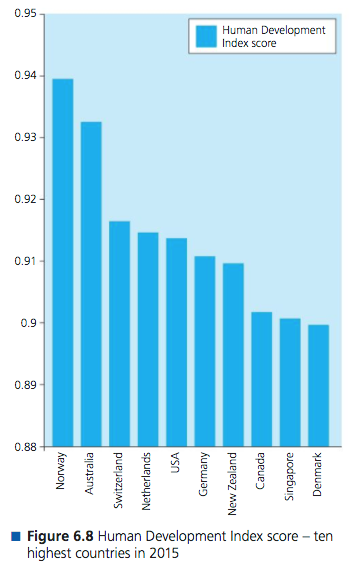 Relative poverty can exist in both economically rich and poor countries. One of the biggest problems with poverty is trying to find solutions to get people out of poverty. 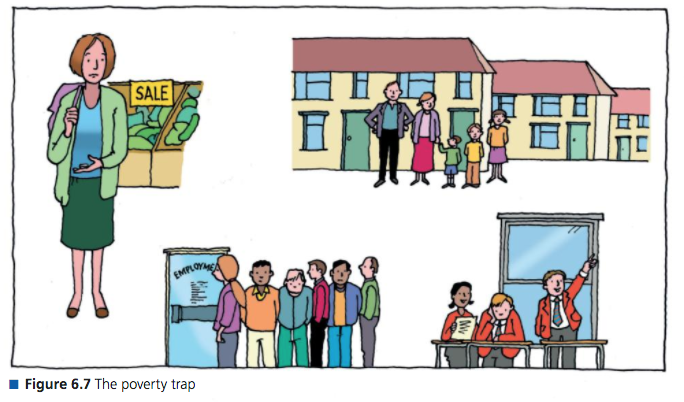 An economic theory, the poverty trap, suggests that owing to a variety of factors, families can be trapped in poverty for several generations. 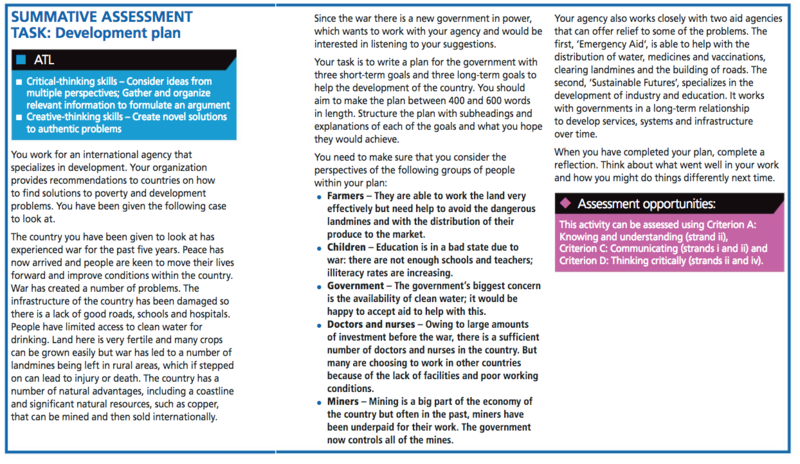 Read your textbook on page 135, explain the difference between economic development and human development. These are not exhaustive lists. Can you suggest some additional measures of human development? In your opinion, what other qualities must a country have if it is to be considered highly developed? Have a look at the BBC Bitesize website on development. 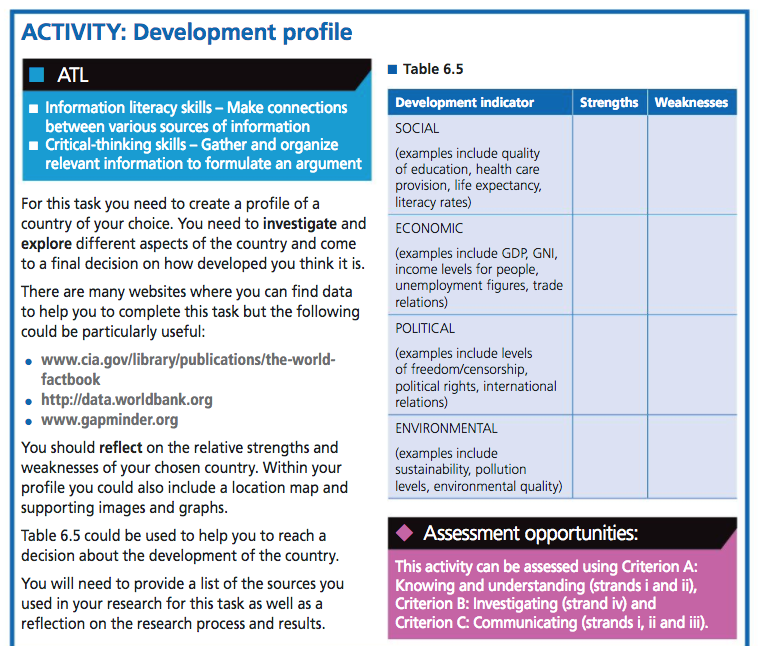 Use the CIA World Fact Book to find the evidence of development for your chosen country. Watch the film below about the 'perfect country'. The film outlines what a country needs to be a highly successful, economically developed state. What is wrong with it? What factors influence the development of a country? Is there a connection between health and wealth? Following the following link to explore the relationships between wealth and health. 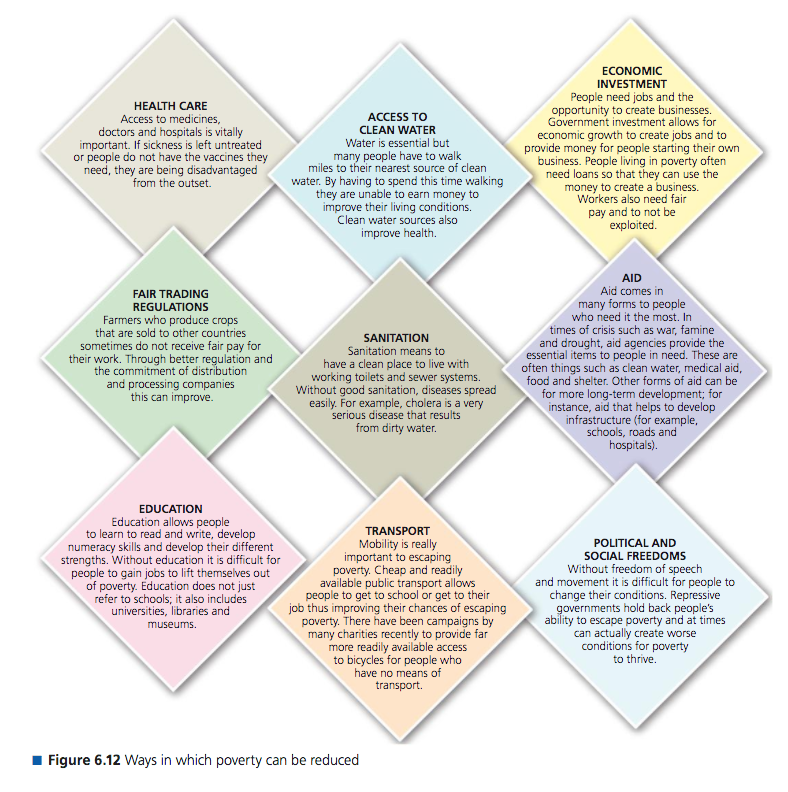 How can resources help to reduce extreme poverty?